“Friends,” the NBC sitcom that has enjoyed a second life on streaming services, is not disappearing from Netflix next month, the company’s content boss told NBC News on Monday. “No, it’s not leaving in January,” Ted Sarandos, chief content officer, said. It is unclear how much longer the show will remain on Netflix, given that WarnerMedia, the content company now owned by AT&T that owns the rights to “Friends,” is planning its own direct-to-consumer streaming service set to launch late next year. WarnerMedia did not have an immediate response when asked how long its “Friends” deal runs with Netflix. Late in the day, Netflix said on Twitter that “Friends” would be on its service throughout 2019. The controversy highlights how consumers may soon find themselves having to make difficult decisions about just how many streaming services they’re willing to pay for. 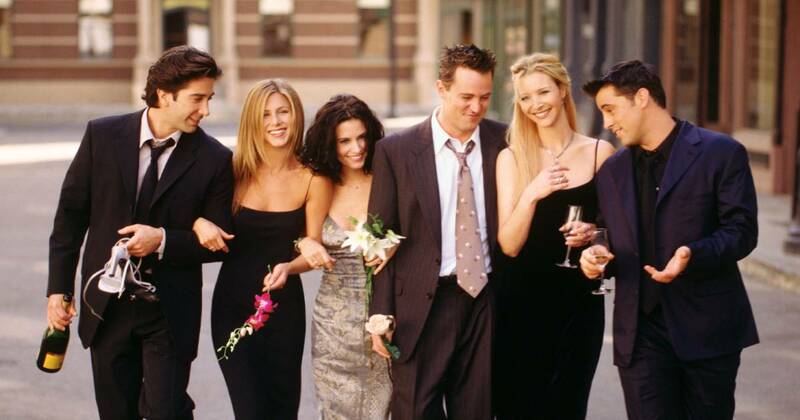 While “Friends” can be seen widely on TV, it is an undeniable draw for Netflix and would likely be a key show for any new Warner streaming product. New York magazine’s Vulture section asked in 2016, “Is ‘Friends’ Still the Most Popular Show on TV,” based on its enduring popularity thanks to on-demand streaming services. Sarandos was speaking at an investor conference held by UBS on Monday where he dismissed fears that rivals such as Disney and WarnerMedia would eat into Netflix’s subscriber base. Both are planning to launch their own streaming media services. WarnerMedia told investors last week it was launching a three-tiered direct-to-consumer online video service with different price points: one tier for movies, another for blockbuster movies and original programming, and a third for movies, original programming and library content. When asked about his competitors at other big tech companies, such as Apple and Amazon, Sarandos said Netflix shows simply would not find themselves on rival services, pointing toward a future in which companies wall off their content. Sarandos also commented on the rapidly changing shape of the pay-TV business, which is being remade by changing consumption habits and is forcing mergers between giants such as Fox and Disney and AT&T and Time Warner.